Imagination is the real substance of our intelligence. All theory and all progress comes from the mind's capacity to reconstruct something. (Maria Montessori, The Child, Society and the World p.48). The Montessori curriculum is well grounded in the realities of the universe. This is not to say that Maria Montessori discouraged imagination. She was a big believer in the child imagining the greater truths of the universe. Indeed, the Montessori Great Lessons curriculum first presents the creation of the universe with having children close their eyes imagine the coldest, darkest place they can think of. This, Montessori says, can’t begin to compare to how cold and dark space was before the universe was created. Montessori stated that “Reality is studied in detail, then the whole is imagined. The detail is able to grow in the imagination, and so total knowledge is attained.” (Maria Montessori, From Childhood to Adolescence, pg. 18). Montessori believed that the universe is a wonderful creation and the Montessori curriculum presents all its wonder to the child, from birth to six years. Children in this first plane of development are grounded in concrete reality. Their ability to discern what is real and what is not real is not yet in place. Montessori discouraged the use of fantastical play and images until the after reality is established and the child enters into the second plane of development and is capable of more abstract thought. Montessori states that “The true basis of the imagination is reality” (The Advanced Montessori Method, pg. 196). Further, research shows that intelligence is developed by critical analysis of perceived reality, not through fantasy and make-believe. Reality is perceived by the senses, something that is easily recognizable. Imagination is based on the senses and is firmly tied to reality. In order to construct oneself, the child must have real, multi-sensory experiences with real objects. This is why Montessori refers to the activities of the child as “work” rather than play. These reality-based activities take on importance because they are respected as the work of adults rather than the fantasy play that has no grounding in reality. The materials used in the Montessori preschool classroom are also real. There is no pretend kitchen. If the children are hungry they prepare a snack using real utensils and food. Snack is served using real plates and cloth placemats. Woodworking tools are real and serve a real purpose – they cut, hammer, and pry. Plastic tools have no purpose and do not hold the child’s intent concentration for long. This is not to say that there isn't dramatic or imaginative play in the Montessori preschool classroom. Think of the child who cuts a strip of zigzagged paper and turns it into a crown, now imagining that he is the king. This type of dramatic and imaginative ‘play’ occurs frequently and spontaneously. Children “conduct” the classical music being played on the Montessori classroom CD player; a real stethoscope is used to listen to heartbeats while children imagine being doctors. Faced with the choice of providing toys and fairy tales or serving the developmental needs of children, Montessori chose to serve a higher purpose – that of the child. © North American Montessori Center - originally posted in its entirety at Montessori Teacher Training on Tuesday, October 26, 2010. Thanks for posting. Its interesting to read about the imaginative and pretend play behind those Montessori works. Thank you, Izzy, for reading the blog and for leaving your comments. I hope you enjoy reading the second part to this series, "Montessori and Imagination: The Second Plane of Development". Hi Jane. Thank you for reading our blog. You may share this with the parents of your Montessori preschool. 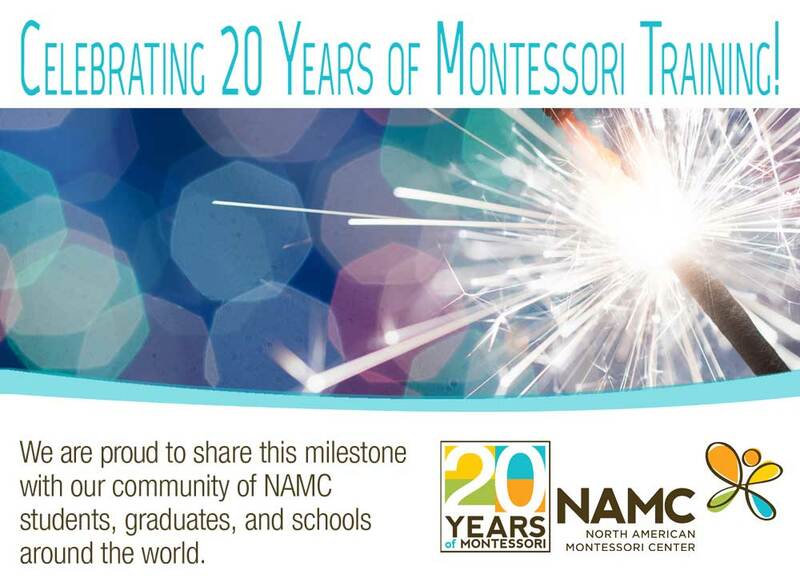 We simply ask that you include our website www.montessoritraining.net and our blog link http://montessoritraining.blogspot.com/ on any NAMC material that you share. Hello I am in the process of preparing a parent/teacher workshop with the Montessori school I work with in France and came accross your articles about imagination. I would like to translate them so we can share our thoughts about this important question in child development. I would also like to post my translation on a blog I am in the process of creating using translation to share Montessori parenting advice with French parents. I read in the comment above that you are willing to share your ressources. Thanks so much for this! I just wanted to make sure it was still the case and have taken onboard that you ask us to mention your website and blog link. Where is the actual research to support this? I would like to read more, but everything just references Montessori's anecdotal classroom observations. How about some science? Thank you for your comment. It’s wonderful to hear that you are interested in learning more about Dr. Montessori, the planes of development, and her theories related to imagination in young children. It is true that Dr. Montessori includes numerous classroom observations in her writings. As a doctor, a scientist, and a researcher (whose theory and methodology has stood the test of over 100 years), Dr. Montessori understood that careful observation is key to understanding children, their needs, and their development. You can learn more about her theories in her writings, such as “The Four Planes of Education” from her Edinburgh lectures (1938) and The Montessori Method: Scientific Pedagogy as Applied to Child Education in the Children’s House (1912). You may also be interested in Angeline Stoll Lillard’s Montessori: The Science Behind the Genius. She offers a rounded discussion of the topic in a section called “Dr. 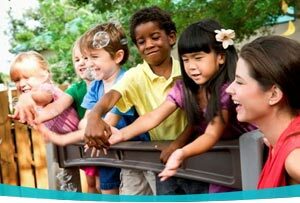 Montessori’s Views on Play and Fantasy” that includes the findings of Dr. Montessori and of current educational researchers.